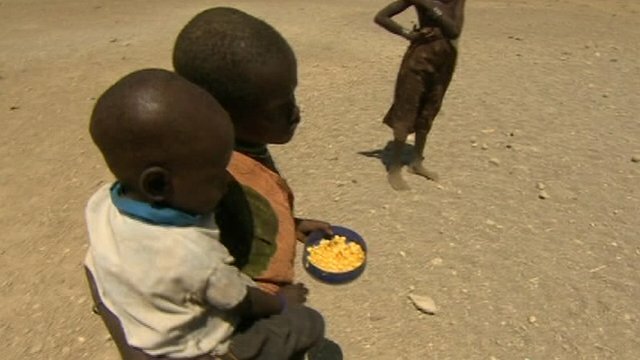 Kenyans angry over Turkana drought response Jump to media player Kenyans have accused their government of ignoring drought victims in north-west Kenya. Drought threat looms over Kenya region Jump to media player The Turkana region in northern Kenya is facing one of the worst droughts in living memory with more than 1m people in need of food aid. Corruption's part in Kenya drought Jump to media player In eastern Africa, the suffering caused by the worst drought in years is being compounded by corruption among the authorities meant to be helping the people. However, the authorities say this figure is "normal" and the deaths are not directly related to the drought. Turkana is one of Kenya's poorest counties and is situated in the extreme north-west. Go to next video: Why is Africa building a Great Green Wall?